The name Rolex has, over the decades, become synonymous with quality. But few people know the lengths that the company goes to to create its products, assuming that the process is now entirely automated and run by computers. Rolex is not a mass-market watchmaker. It does not automate the production of its products, and while machines help, they are not the backbone of the process. The bulk of the work is done by real artisans, trained in the craft of watchmaking. Ever since the company was established by Hans Wilsdorf and Alfred Davis in 1905, it has focused on creating items of exceptional quality. The founders decided that they wanted people to have watches that not only told the time accurately but also made a statement about who they were. Although the notion of luxury branding was in its infancy in the early 1900s, Wilsdorf and Davis understood the fundamental psychological drivers behind it and took full advantage. Before long, Rolex had established offices in multiple countries, all over Europe. To keep quality high, the company has integrated much of the production process. The company uses its own foundry to ensure that the quality of the metal it uses remains high. Take a look at the following infographic. It’ll totally change your opinion of Rolex. So, as you’ve just found out, Rolex is not a mass-producer of watches. All of its products are handmade. It’s no wonder that the most expensive Rolex in history sold for an astonishing $17.7 million. Now that you know more about the company, do you want a Rolex? Thom Browne announces the opening of its Miami store, the designer’s second freestanding American shop. 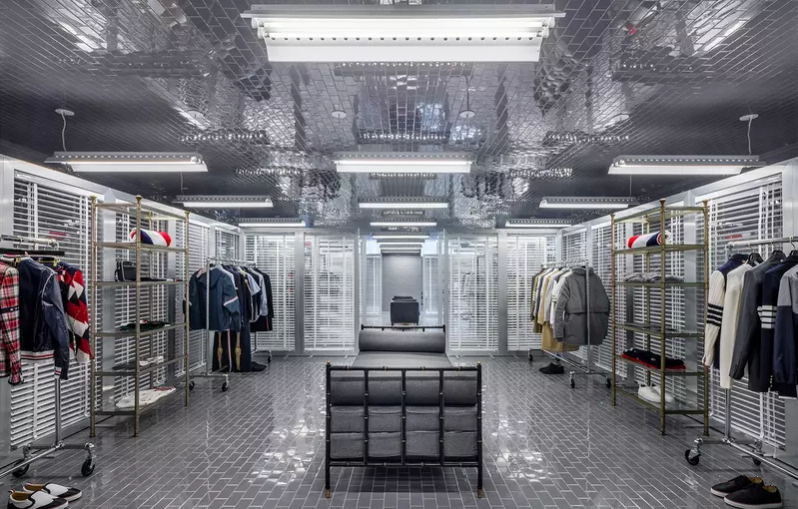 Thom Browne continues his collaboration with architect Flavio Albanese of ASA Studioalbanese on the design of its newly opened store located within the Moore Building of Miami’s innovative Design District. The 3,000 square foot store neighbors some of Miami’s most prominent art galleries, restaurants and luxury retail boutiques. Behind Browne’s signature slat blind covered windows, the grey subway tile-wrapped boutique features a mobile wall installation that can be shifted to visually transform the space. Outside of the brand’s signature tailored and sportswear offerings, the store’s men’s and women’s assortment is tailored to the temperate climate through the use of seersucker, linen, and lightweight wool fresco fabrics. The mid-century furniture throughout the store is by American and French designers including Pierre Jeanneret, Dunbar by Edward Wormley, Paul McCobb, Jacques Adnet, and Maison Jansen. Coach unveiled “Lights, Camera, Holiday,” its campaign for the 2018 holiday season. Starring actress, singer and global face of Coach women’s Selena Gomez, the campaign follows the star and an unexpected cast of animated animals as they audition for the gig of the season: the Coach holiday windows. Playful, inclusive and irreverent, the campaign puts gifts and the tradition of holiday windows at the heart of the story to celebrate all that is fun and festive about this time of year. To launch the campaign, Coach releases a series of short animated films written and directed by creative duo Henry and Rel of Supermarché. Shot in a raw, irreverent style, the films reveal the audition tapes of Selena and her festive friends as they compete for a role in the Coach holiday windows. In addition, Coach unveils today a print advertising campaign for the 2018 holiday collection. Set against the glittering skyline of New York, the photographs show Selena emerging from a vintage car holding the Parker bag in metallic leather. Revealing the star ready to steal the spotlight, the campaign captures the magic and charm of New York during the holiday season. FROM HIKING BOOTS TO MADE IN SANTONI MINK LINED MULES, HIGH ALTITUDE TRAVELING HAS NEVER BEEN SO CHIC. Are you planning a weekend in the mountains between ski slopes and sub-zero temperatures? Then you cannot forget to pack the modern and dynamic Everest hiking boots in elegant hand-painted calfskin in tan shades and the precious and comfortable inside out calfskin mules with mink and beaver from the Santoni Fall Winter 2018-19 collection. Featuring a touch of style and incomparable quality, here are the ideal shoes for an active chic, high-altitude weekend.